One of the great things about the HBO crime drama The Wire is that delving into the details of its creation can lead you to an infinite array of similarly fascinating works and stories: You’ll find yourself reading creator David Simon’s non-fiction books for the anecdotes he ended up re-using on the show, or watching Spike Lee’s 25th Hour for the origins of Isiah Whitlock Jr.’s famous “Sheee-it” catchphrase, or even reading up on potential presidential contender Martin O’Malley for his parallels to fictional Baltimore politician Tommy Carcetti. It’s like the Star Wars expanded universe, except it’s all relevant to the world we live in rather than geekily alien and self-contained. And one of the most rewarding parts of this textual extended family is the work of Richard Price, who first caught my attention through his work on five Wire teleplays, beginning in the show’s third season. Richard Price’s connection to The Wire began long before his name started showing up in the credits. He and David Simon first met back in 1992, not too long after the publication of Homicide: A Year on the Killing Streets, Simon’s non-fiction debut about the Baltimore homicide department, and Clockers, Price’s magnum opus about the parallel experiences of a crack dealer and a cop in a fictional New Jersey city. Simon and Price’s mutual editor, John Sterling, paired the two up for a trip through Jersey City on the night of the Rodney King riots. That “play date” didn’t immediately lead to any collaborations, but Simon deeply admired Clockers, calling it “The Grapes of Wrath of the crack epidemic,” and the book’s influence on the first season of the HBO show Simon created ten years later is clear despite the fact that Price wasn’t yet directly involved. Clockers‘ most striking aspect was its depiction of the tense workaday camaraderie that existed among its titular crack dealers, and even between those dealers and the cops who pursued them. That same dynamic is on display in the behavior of The Wire‘s D’Angelo Barksdale and his subordinates in the Pit crew, and in the casual cat-and-mouse way they’re approached by cops like McNulty and Bunk. D’Angelo in particular bears a strong resemblance to “Strike” Dunham, Clockers‘s dealer protagonist: Both characters are out of their element in the crack game, smart enough to recognize the senseless brutality of their occupation but not tough enough to embrace that brutality themselves, and unable to conceive of any other option. In fact, the resemblance was even more striking in Simon’s original outline for the season*, which had D’Angelo’s story wrapping up pretty much exactly the same way that Strike’s did. *I’ve only seen this outline on random blog posts (often grouped together with a few episode scripts) and have no official confirmation that it’s actually real, but if it’s fake then whoever faked it really knew their stuff. 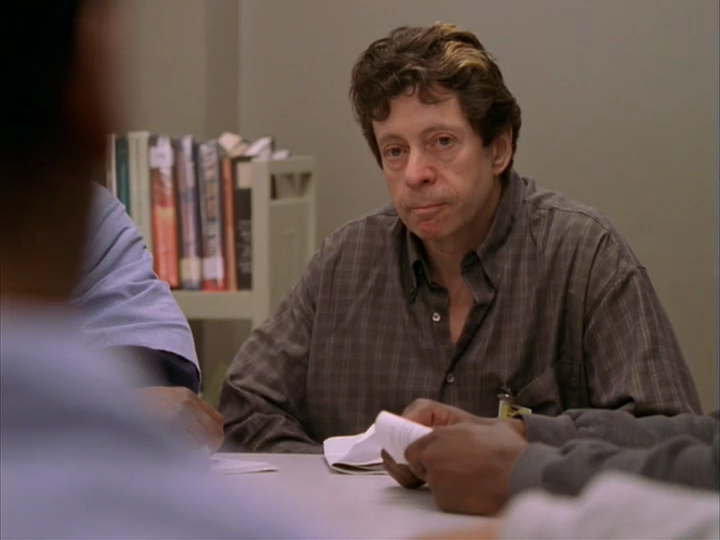 The show’s second season enlisted Price for a small but appropriate contribution in the form of an Obligatory Richard Price Cameo in the episode “All Prologue.” Price plays the guy leading D’Angelo’s prison library discussion of The Great Gatsby. Price was an avid fan of the show. “I used to pretend that I wrote it,” he says on his Wire DVD commentary track, and he finally got the chance to make that fantasy a reality when Simon and fellow writer/producer George Pelecanos buttonholed him at a Washington, D.C. reading and convinced him to join the writing staff, alongside other renowned novelists like Dennis Lehane and Pelecanos himself. (This may have occurred prior to the filming of Price’s cameo; I don’t know the exact timeline.) And if the Clockers parallels seemed obvious in the first season, they’d become even more unmistakable once Price was writing the scripts. 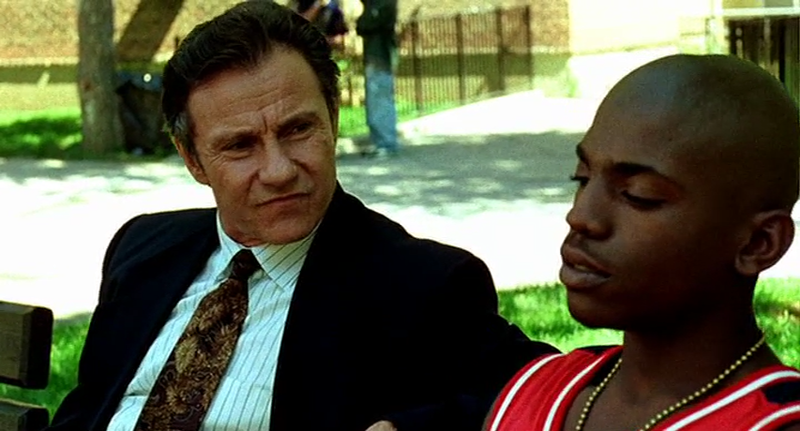 Whole scenes from the book started appearing on the show, often (according to David Simon) at the request of the show’s other writers, who loved Clockers and knew that elements from it would fit into The Wire‘s world. • A criminal unwittingly opening a door the cops are about to break down for a raid. 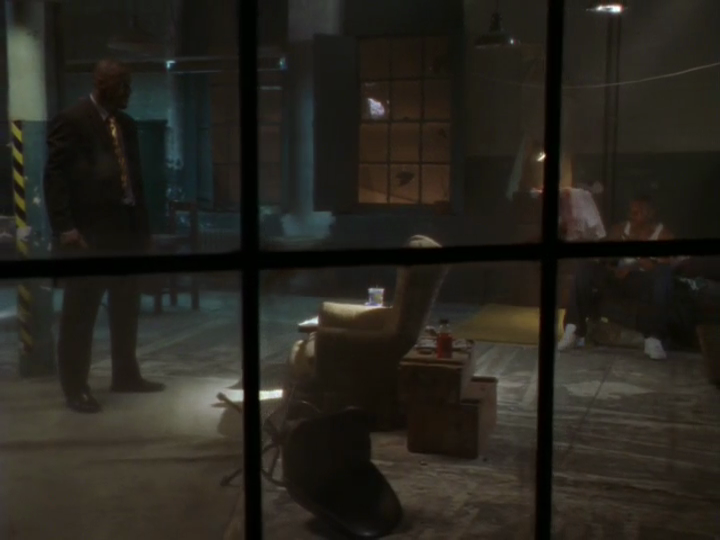 (S03E02, “All Due Respect”) Price also used this scene (which, according to his DVD commentary, was based on an actual incident he witnessed) in the 2000 remake of Shaft. Apart from those scenes, there are also telltale bits of dialogue that are familiar from other Price works: The deacon refers to the War on Drugs as “sweeping leaves on a windy day,” an expression used similarly near the end of Freedomland; Namond Brice refers to Enron as “Amron,” much like a newshound perp in Lush Life; etc. Then there are moments which echo other parts of Price’s oeuvre in a more general way: Prez struggling to keep his class’s attention, much as Ray Mitchell does in Samaritan, or Gus Haynes advising a reporter protégé to “tell [your subject’s] story in moments,” an expression which just about summarizes Price’s approach to fiction. Still, it’s worth noting that Price’s episodes contain some of the show’s most memorable moments. 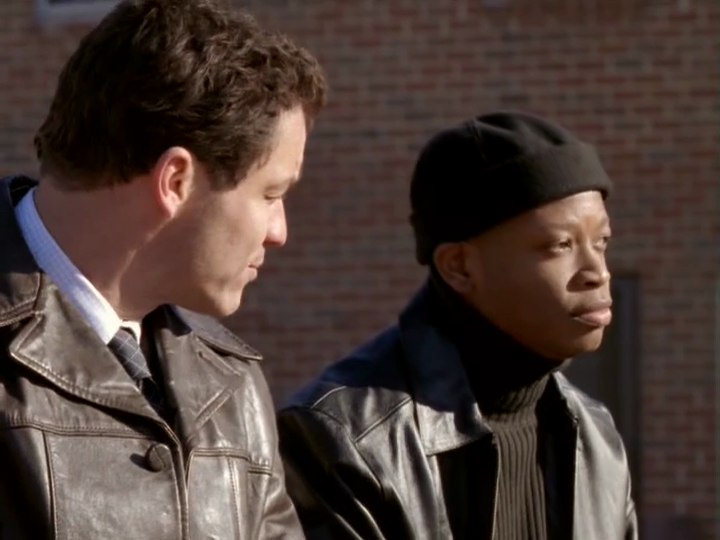 Season 3’s “Moral Midgetry” in particular is one of the most affecting episodes of the series, featuring both McNulty’s confrontation with Brianna Barksdale over her son’s death and the final rupturing of Stringer and Avon’s relationship after Stringer reveals that he had D’Angelo killed. As great as all those moments are, Price’s contributions to The Wire are, in a sense, a minor entry in his large and varied overall body of work. As an individual, he’s better represented by instances of solo auteurship like Clockers, or even feature screenwriting gigs like Sea of Love. But the fact that a great writer like Price can come in and do great work and still be a relatively small aspect of the production as a whole just demonstrates the unique potential of TV drama as a medium, and The Wire‘s unique success at converting that potential into all-time great storytelling. 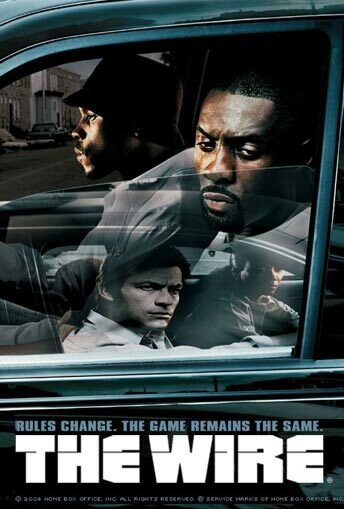 • The Wire was an East Coast-based production which drew heavily on New York-based actors to fill out its largely African-American ensemble. Because Richard Price is based in New York and often writes stories that involve people of color, there’s a significant amount of overlap between the cast of this show and the casts of various other projects Price has worked on. 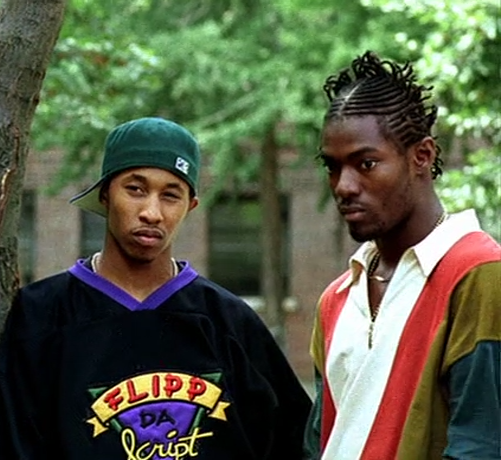 Fredro Starr (The Wire‘s Bird) and Hassan Johnson (Wee-Bey) were both in the Clockers film adaptation, while Sonja Sohn (Kima) and Andre Royo (Bubbles) show up in the Shaft remake. As we’ll see in future posts, other Wire actors also appear in the 2006 Freedomland movie and Price’s 2012 CBS show NYC 22. Seth Gilliam, who played The Wire‘s Carver, was in the “loop group” (an assembly of actors who record background dialogue for crowded scenes) of 1993’s Mad Dog and Glory. • Wire executive producer Nina Kostroff-Noble served as a “2nd Second Assistant Director” on 1986’s Streets of Gold, co-written by Price. • Price’s daughter, Genevieve Hudson-Price, shows up in a small but recurring role as a junkie. She’s good! • This might be a stretch, but the deacon’s pool hustling habit could be a reference to Price’s work on The Color of Money. • Reviewing Price’s episodes for this blog gave me a convenient excuse to spend time watching some of the newly remastered widescreen Wire episodes recently released by HBO. The show’s visuals look great in HD, but the switch to a 16:9 widescreen image messes with the shot composition in a way that I found frustratingly distracting. As you can see, I stuck with the original 4:3 image for the screencaps used in this post. • Price wasn’t involved with David Simon’s follow-up series Treme, but a quote in this Slate interview with Simon (“I’m working with Richard Price,” present tense) suggests that he might be on board with Simon’s upcoming nonfiction miniseries Show Me a Hero. Next week: Dempsy, New Jersey finally hits the silver screen with the 2006 film adaptation of Freedomland. This entry was posted in Television. Bookmark the permalink.